The benefits of allotments are rooted far deeper than just providing fruit and veg. Charlotte Goldthorpe looks at the health benefits of this blooming trend. Having an allotment can be a rewarding thing to do, and for many provides an escape away from the stresses of every day life. From the satisfaction of growing your own fruit and veggies, to doing your bit for the environment. An allotment is described by The National Allotment Society as an area of land, leased from a private or local authority landlord for the use of growing fruit and vegetables, and in some cases can be used to grow ornamental plants or to keep hens, rabbits or bees. Share a plot with a neighbour or friend. Make sure you have a water source on site to keep those veggies growing. Be prepared to put the hours in, especially in the summer months. Get in touch with your local council and put your name down on a waiting list. Allotments have been in existence for hundreds of years, with evidence pointing back to Anglo-Saxon times. However, today’s allotments were rooted in the nineteenth century, when land was given over to the labouring poor for the provision of food growing. The National Allotment Society claims that just 30 minutes of gardening on your allotment can burn around 150 calories. That’s the same as doing low impact aerobics. Not only that but spending as little as 15 minutes a day out in the summer sunshine can build up your levels of vitamin D, if you are fair skinned. And for those whose skin is naturally darker, anywhere up to 90 minutes. With all the fresh air, and exercise gardening provides, there’s no denying that allotments can be good for our health. Plus, you should be able to get those all-important five fruit and veg a day. If you don’t have a particularly large garden, or simply want to do something sociable away from the house, then starting an allotment might be right for you. But how easy is it to get started? Costs vary across the country, but council-run sites can cost between £50 to £110 for a full plot. Many people opt to split full-size plots in half to share with a friend or neighbour. The society recommends getting in touch with your local council to put your name on a list for a nearby plot but advises that there might be a long waiting list for this popular trend. 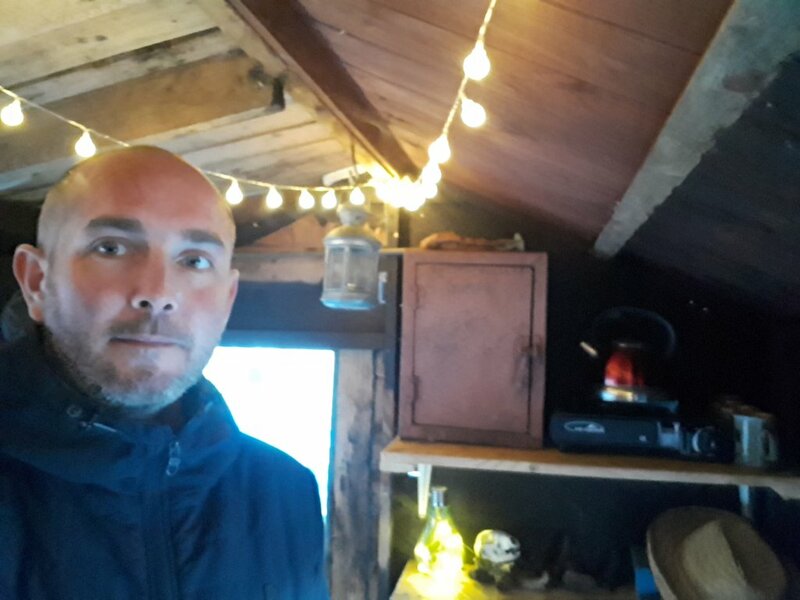 Budding gardener Paul Harris, aged 39, was diagnosed with PH in 2015. Coming to terms with his diagnosis took a toll on his mental health. 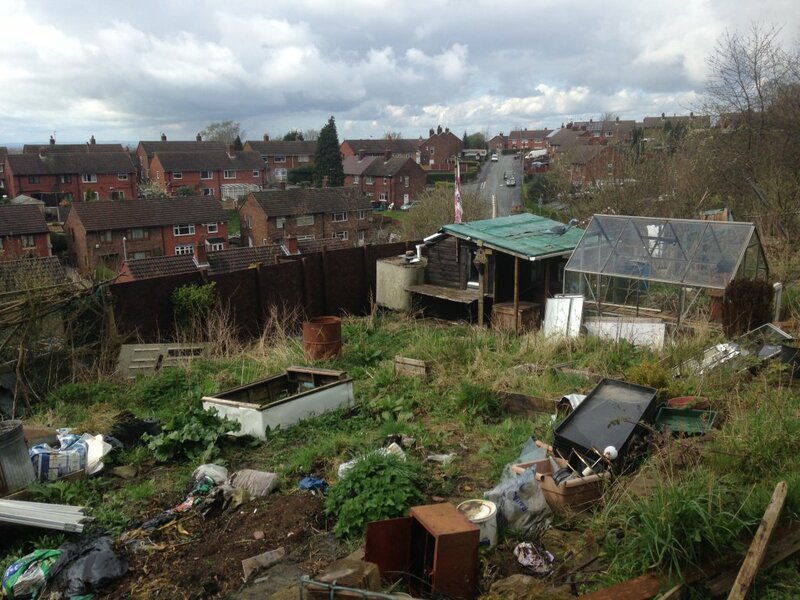 In April 2017 he started an allotment with his wife Diane after hearing about a plot of land near to his home in Kidsgrove, Stoke-on-Trent. He now spends hours each week on the allotment to help him manage his anxiety and live well with PH. The allotment was perfect and just a three-minute walk away from home. The timing seemed right too. About a year or so after my diagnosis I had adapted aspects of my life to manage my physical symptoms, but I was struggling with my mental health, and needed an escapism. At the time Paul and Diane decided to start their allotment they had also recently gone through foster care training. The couple foster a three-year-old girl who loves spending time in the allotment, especially during spring and summer when she’s able to pick raspberries and peas out of the pods and play with the frogs. It took a while to get the plot how they wanted it as no one had been on the land for 18 months. In fact, Paul recorded that they’d spent around 300 hours making the area safe and inviting, including recycling old palettes for new walls, plant pots and a shelter for the BBQ. 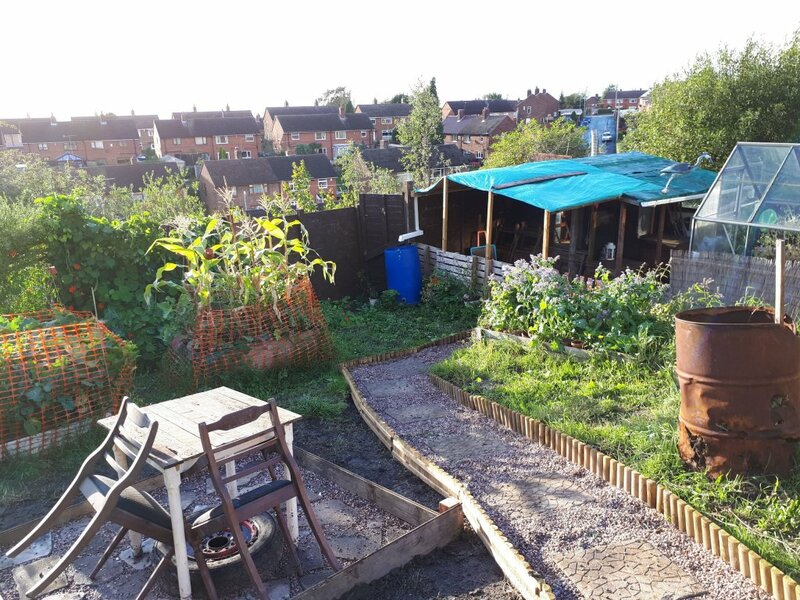 The allotment is part of an area of 25 plots, but each plot of land is enclosed so Paul can lock himself away and get to work on the next part of the project. Whether it’s getting the spade out to dig beds or make a new roof. As well as having PH, Paul has lived with the auto-immune disease lupus for nearly 15 years. Around three years ago he first started to feel breathless and fatigued and one night he experienced abdominal pain too, which prompted a trip to A&E. He spent the next four months in hospital for various tests. Two of those months were spent at the Royal Hallamshire where he was diagnosed with heart failure and subsequently, PH. While Paul experienced some physical symptoms of PH, having PH more so affected Paul’s mental health and he struggled to come to terms with the fact that he might not be here in six, or seven years’ time. Some of the fruits of Paul’s labours. 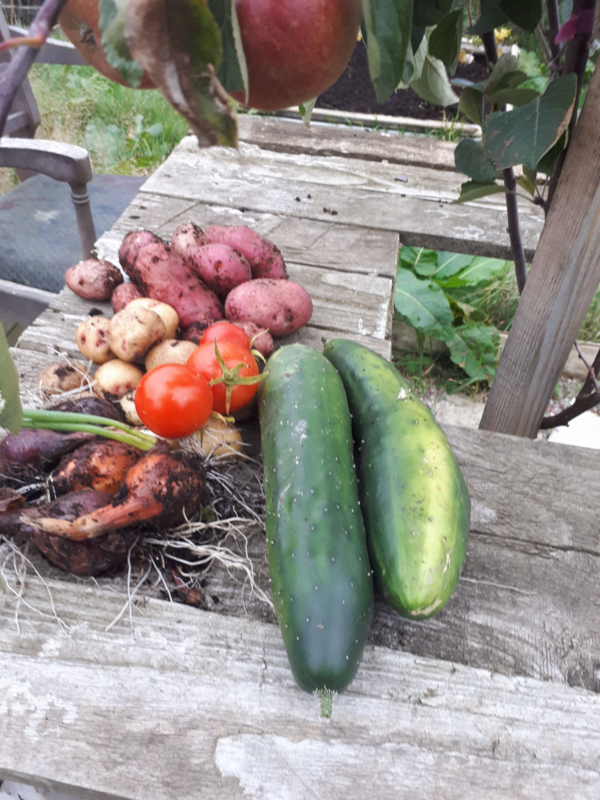 Along with working on the allotment to take his mind off the PH, he decided to contact the dedicated Anxiety UK helpline for PHA UK members and now attends sessions with a counsellor local to him. Paul has recently got together with other allotment enthusiasts to buy the land from the council and establish a society. The group plan to create a community garden project to give something back, inviting a local school to manage their own plot and sending extra produce to the Salvation Army.